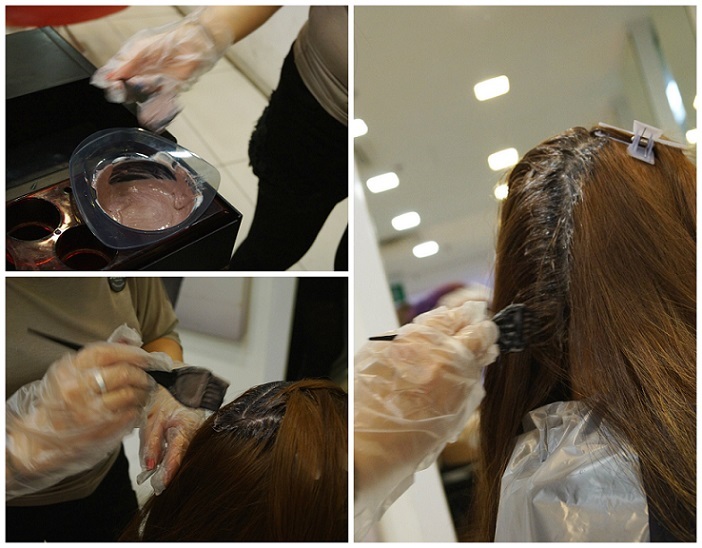 The awesome product I am gonna introduce to you is KERATIN Hair treatment from DA Hairdressing. Which I will be doing a review for it later too. So here is the before… Before I do retouch and Keratin treatment. You can see the roots area got a lot of frizzy hair right? So now I am getting ready to pamper my hair! 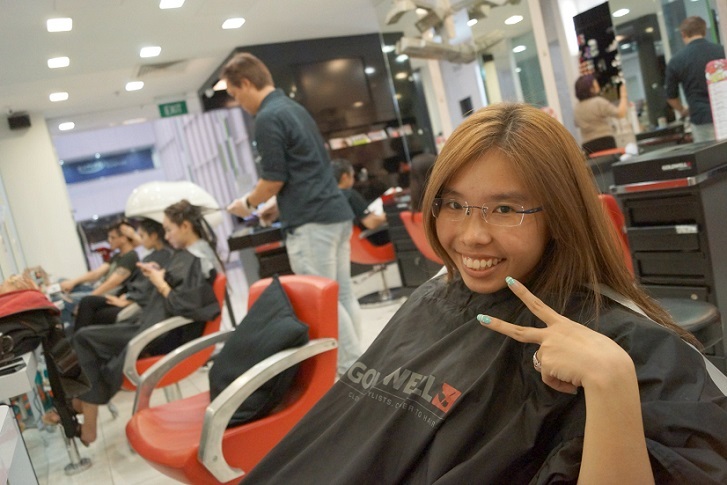 So first, Joanne will do the retouch for me. 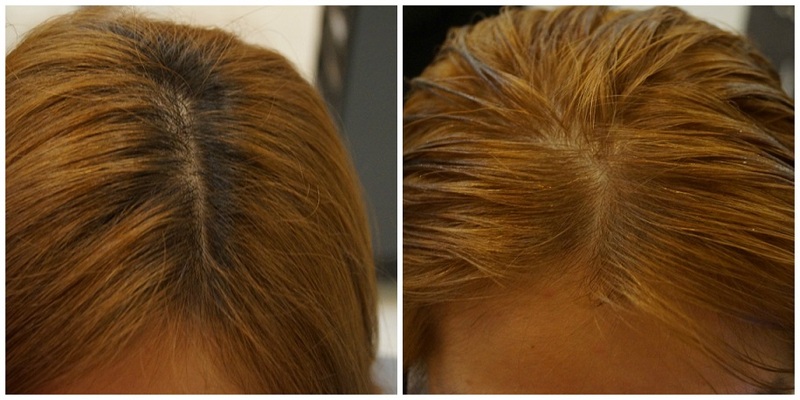 Retouching of roots with only 1inch of growth is a very difficult task! The original colour Audrey did for me is Copper + Violet.. 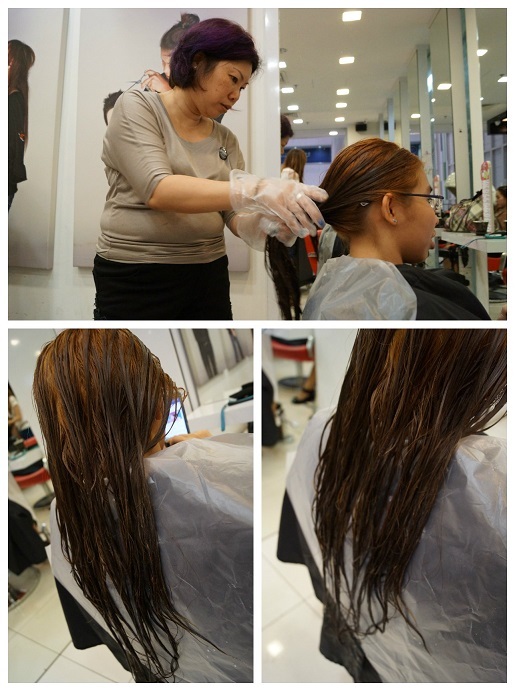 But after 1mth of hair washing, towel drying, the colour starts to fade away! Now it is unknown colour.. 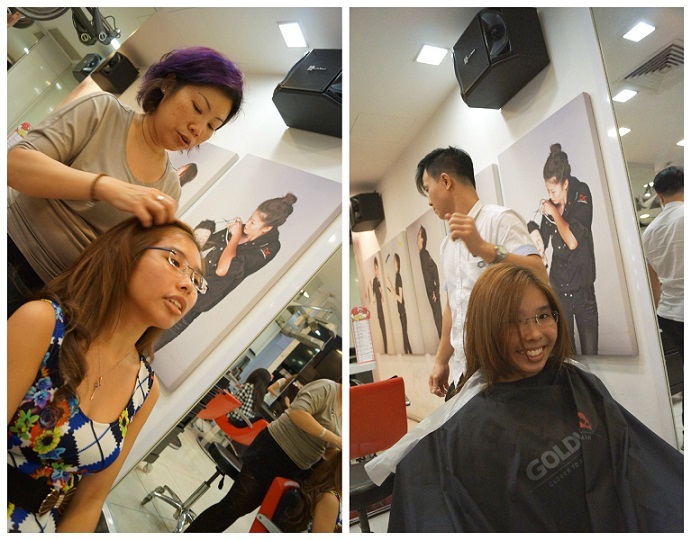 But Joanne with the sharp eyes manage to mix a new colour for me.. Copper + Bronze! 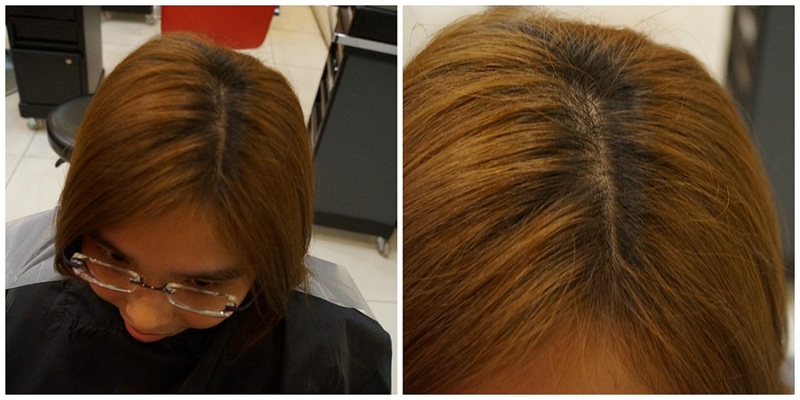 Tips: 2 days before retouch of roots colour, it is not advisable to wash your hair. 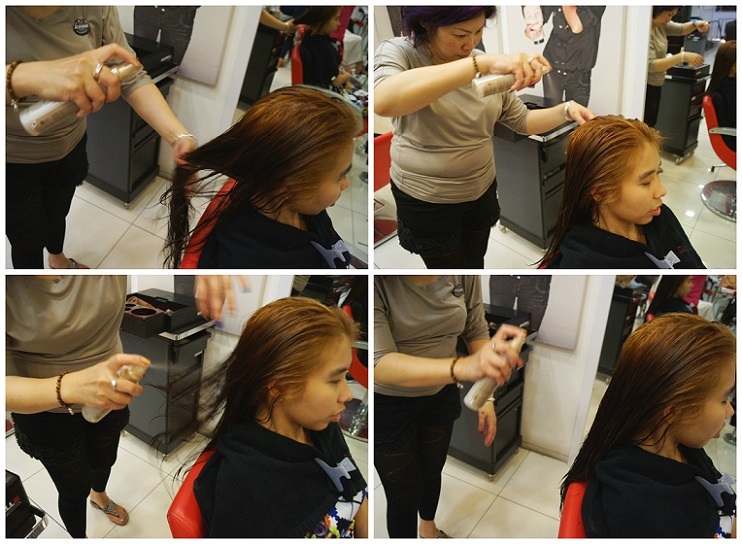 Especially if you apply lift up colours (light colours like mine) If you hair is slightly oily, the dye will better adhere to your hair and last longer. 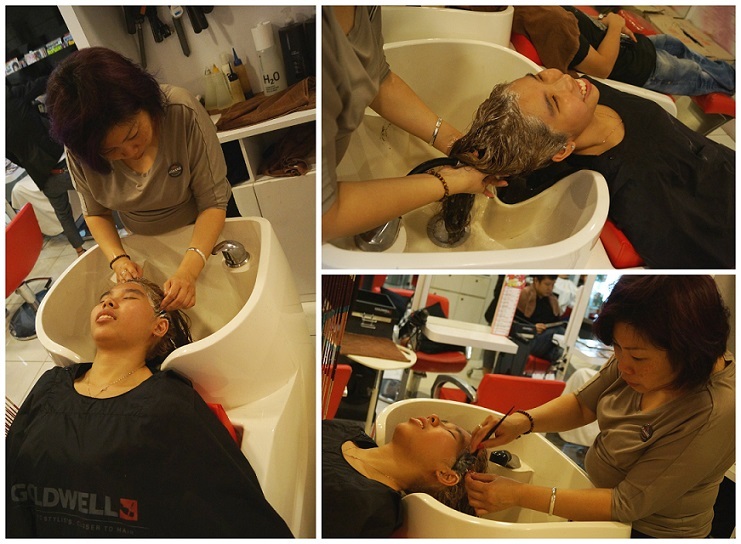 After 30mins, Joanne helps me to wash away the hair dye on the roots and at the same time we started off with the Keratin Treatment! 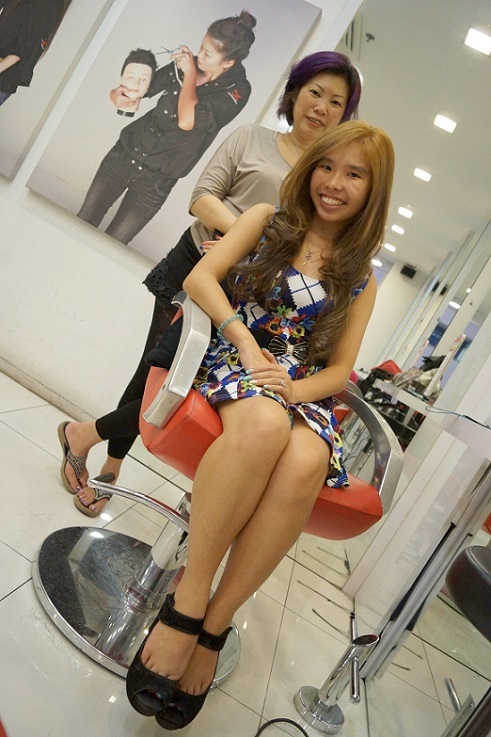 Keratin Blowout hair treatment, cost $299 to $389 ++ and treatment hours is about 1.5hrs. It’s a protein that’s naturally in your hair. But it is loss naturally due to sun and daily shampooing. 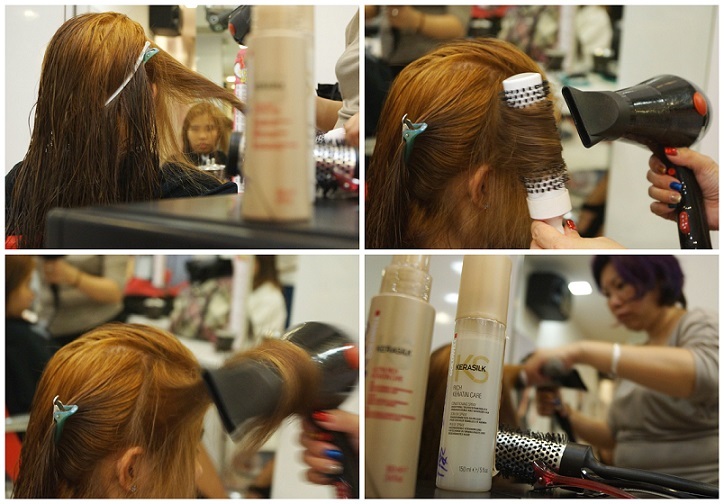 How Keratin Blowout Hair Treatment works? 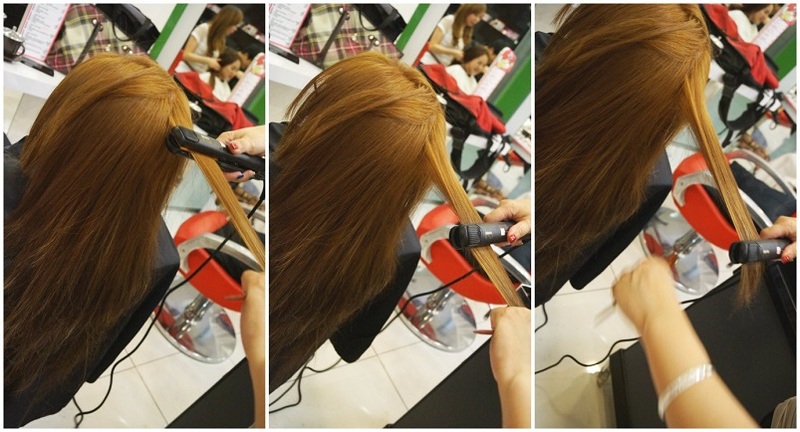 A stylist applies a keratin hair-straightening product yo your hair and then uses the heat of a flat iron to seal it in. About 90mins or longer depends on hair lengths. 2) Farewell Frizz… No more frizzy hair! 2mths to 2 & half mths. Not suitable for small curls hair. Do not wash your hair for the next 3-4days after treatment. These are the 3 products which will be used today, by Goldwell. 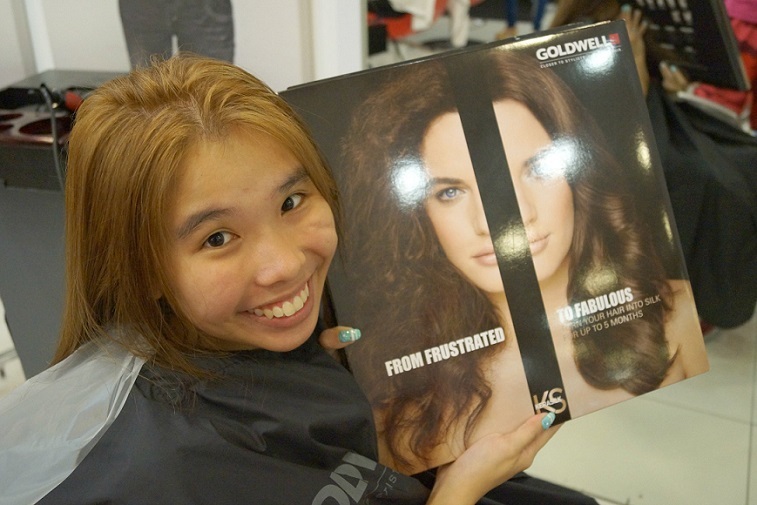 Goldwell is a very professional salon brand in the industry. So rest assure DA Hairdressing only use the best product in the market on your hair! 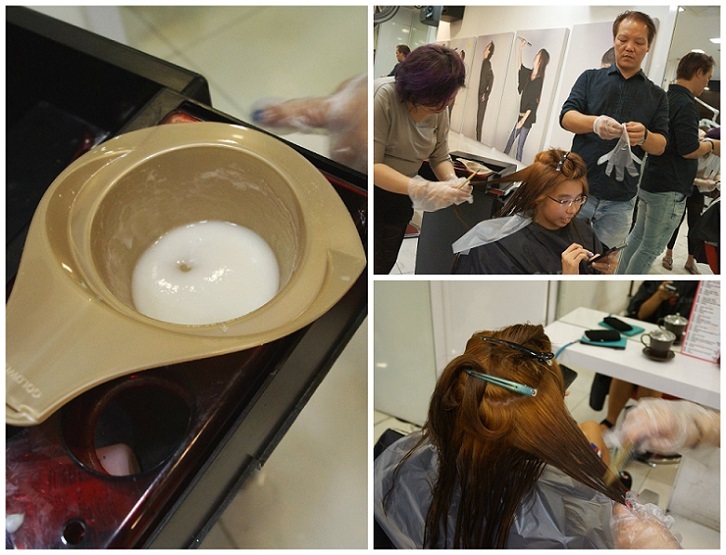 Purpose: To dry out the hair first so the nutrients and protein from Keratin can be fully absorbed! 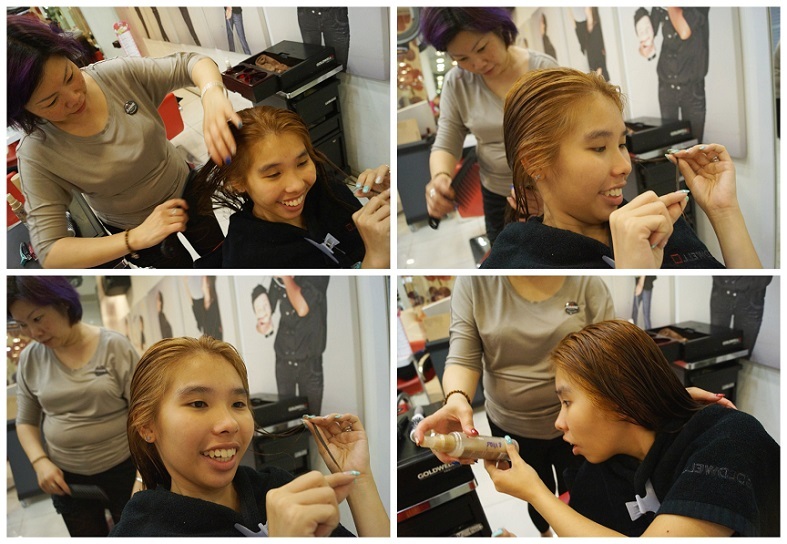 Because left a little bit of moisture to have easy application of Keratin. Anyway, look @ my before & after. Goodbye Black Roots! 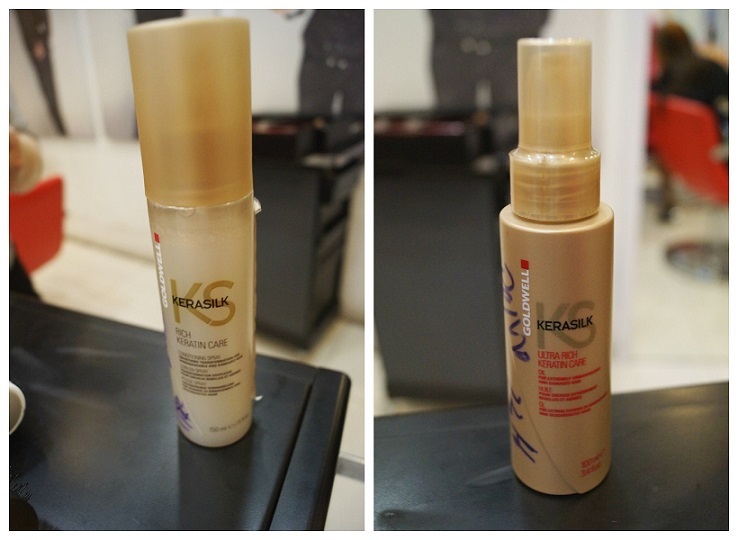 After blow 80% dry, apply the Kerasilk treatment cream below without heat. During the applying of treatment cream, I was busy taking notes because Mr Dave actually overload me with a lot of information on Keratin Treatment. 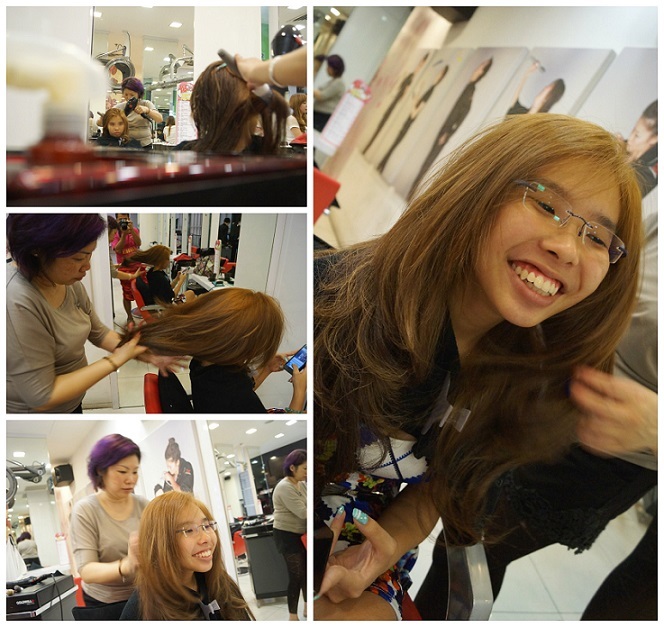 Because my hair was so thick, Mr Dave have to lend Joanne a helping hand if not we will only end this at 11pm. Jus joking! 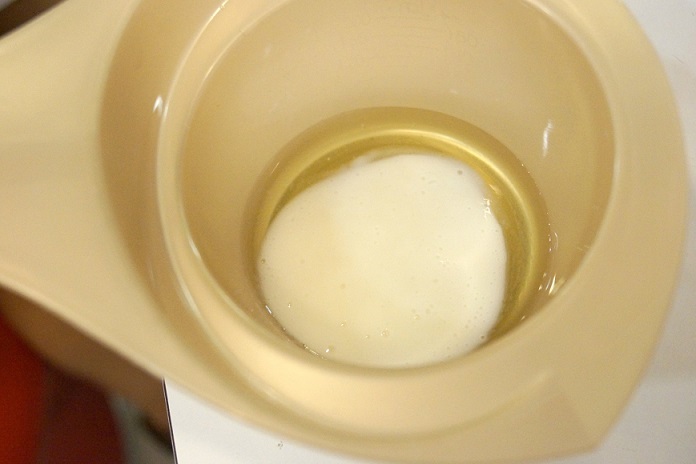 Leave it for 15mins and wait for it to be fully absorb by the hair…. Did you see the white flakes? It is the dried-up keratin. Now if you touch your hair, it is very rough. 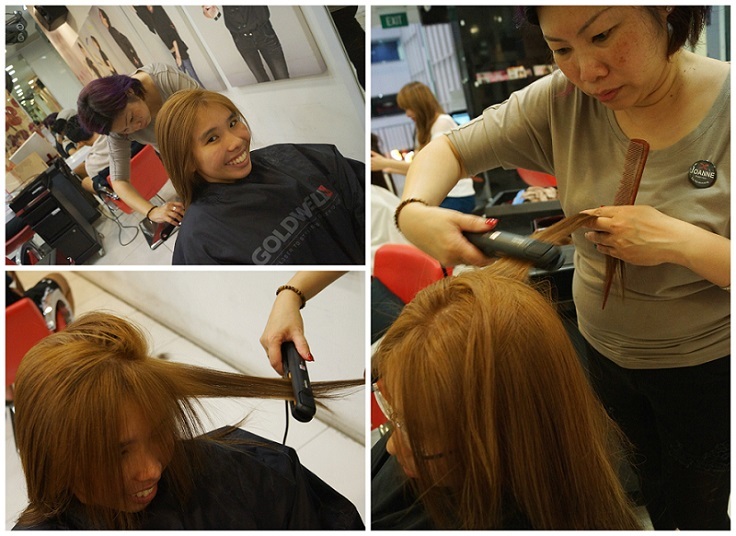 After the blow dry, Joanne used a flat iron to straighten and tame the frizz. Looks something like rebonding. 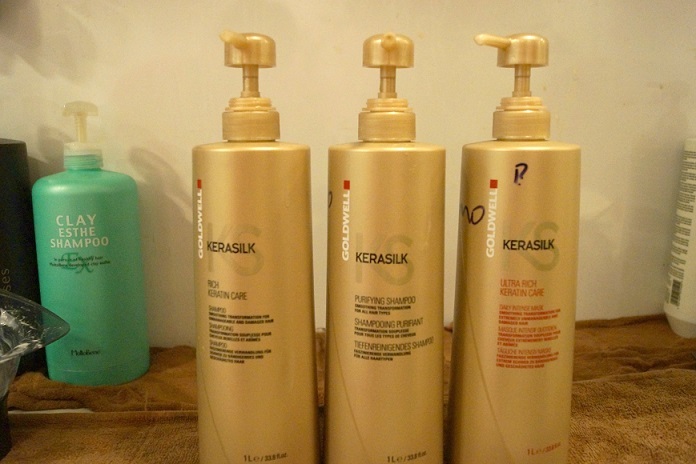 I love the fruity smell of the shampoo of this Keratin Series product. It make me feel good and refreshed! Tadah! Say hello to awesome silky and manageable hair now! Now the last step is the Keratin Care Essence to be applied and after I style my hair, I can have nice hair for the next 2-3mths! Did I mention, without applying any products? Don’t you find apply products a hassle every single morning? 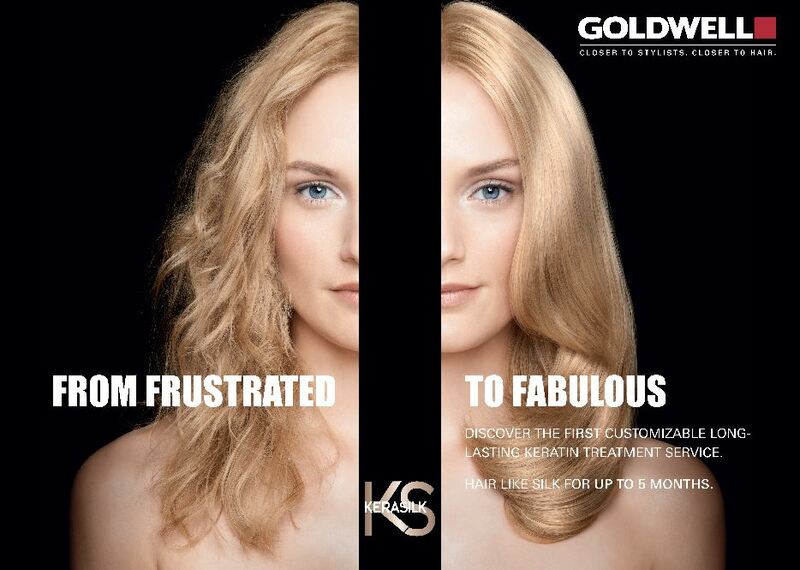 The Original Price of Kerasilk Keratin Blowout treatment cost $400 for short hair and $600 for long hair. But soft & silky hair is attainable and made affordable by DA Hairdressing! 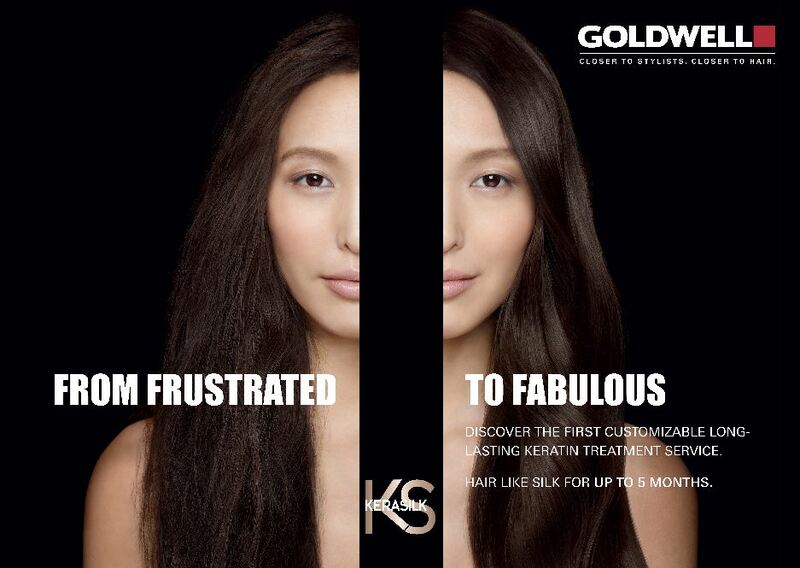 Promotion for Keratin Treatment: $299 to $389++ onwards!! 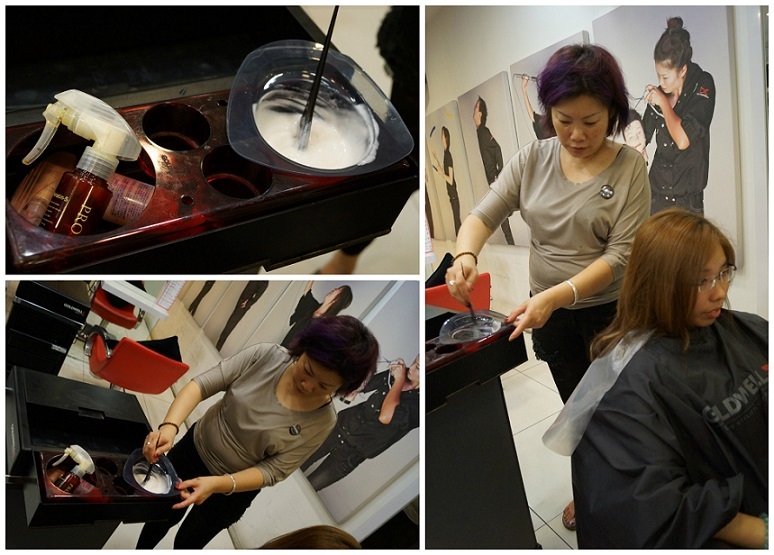 Promotion for Colour Retouch is now $79 ++ with free hokkaido treatment! For those with dry and damage hair and those with wavy or curly hair like me can try it too. Overall issit worth it? I think it’s super worth it for a tangle free hair. As you all know, our hair always tangle in the morning! Overall: Very friendly and approachable! My stylist is Branch Manager, Joanne. She will be rotating around the 5 different outlet island wide. Cannot tame your wild hair? Where to find good services? 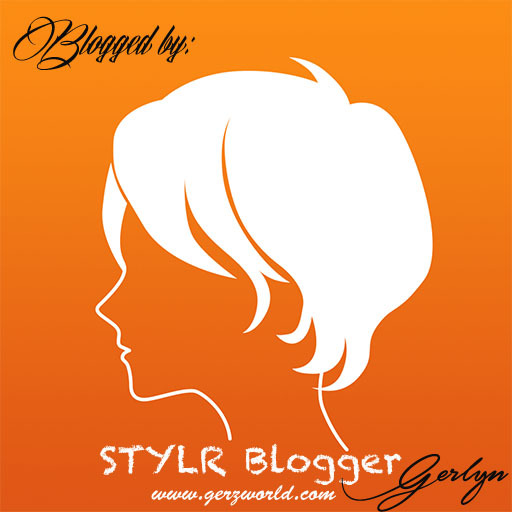 Ger’z World is proud to be the Official Blogger Ambassador for DA Hairdressing! DA Hairdressing ; Be YOUnique! Make your appointment using STYLR app for an easier way to access reviews. Available in Appstore & Playstore now! wow, great job! awesome pics! I got this treatment done recently! So amazing, ladies! I have never seen my hair looking so….PERFECT!!! Will definitely do it again and recommend it to all of my friends. Hi Juliet, Do make a call to DA hairdressing to check if the promo is still ongoing. Do mention my name for 10% disc off. Thanks for reading my blog.